During this documentary shown on France 2 in January 2013, journalist Olivia Mokiejewski explained that she was a longtime Coke drinker who grew skeptical after hearing reports about the soda's potentially harmful effects. After not getting the answers she wanted through open-source channels, Mokiejewski bought shares of Coca-Cola in order to gain access to last year's annual general meeting, during which she was filmed asking Coca-Cola CEO Muhtar Kent where the corporation gets its coca from, and why, for example, it continues to put so much sugar in its drinks and use artificial-coloring agents. From the looks of it, Kent was unamused. Although France 2 receives more than 2.3 million Euros ( more than $3.1 million) in advertising from Coke, they still had the courage to run this film, "Coca-Cola Et La Formule Secrete (Coca-Cola and the Secret Formula), that is critical of the beverage company on a number of fronts. Some of the film was shot at the Campaign to Stop Killer Coke headquarters and highlights some of the issues on which we have been working. As you go on in the film to about 35:00, there is a conversation in Spanish and French. At the bottom of the video, you can choose "English" for the subtitles. Corporate criminality is increasingly recognized because of blatant corruption like that revealed in the BP spill, JP Morgan and other banksters getting away with destroying the economy and Walmart's abuse of its employees, whose workers have to depend on tax money to meet their basic needs. What is less well known is that Coca-Cola is literally getting away with complicity in murder in Latin America. Corporate power over US workers has tilted drastically toward corporations, resulting in devastation of workers rights, including the right to earn a decent living. This is the main reason for the decline in the living standards of workers and their families and a variety of destructive effects on American society, its economy, the environment and public health. Americans are realizing the effects of corporate control of government, but outsourcing, deregulation and lack of accountability for harm to individuals and society do not compare to abuses of workers in other nations. Understanding what corporate executives do to their workers in other countries shows why we have to stand with them or suffer the same fate. Janine Bancroft of CFUV radio the discuses the the issues of kidnapping, torture and murder of union leaders in Coca-Cola's Latina American bottling plants. Her in-depth December 19, 2013 interview with Campaign to Stop Killer Coke director Ray Rogers is quite informative. CFUV is located at the University of Victoria, Victoria, BC, Canada. Check out the new cartoon from Scartoonees.com depicting the violence against union activists/leaders by Coca-Cola bottlers in Colombia . Fantastic exposé on Coca-Cola's Vitamin Water. While it's promoted as a healthy alternative to soft drinks, Coca-Cola tells the court that "No consumer could reasonably be mislead into thinking Vitamin Water was a healthy beverage." Videos from the 2011 Coca-Cola Shareholders Meeting. Ellis Henican, a columnist for Newsday, a political analyst at the Fox News Channel, and the host of a nationally syndicated weekend show on the Talk Radio Network, interviews Corporate Campaign Director Ray Rogers about the state of labor in America and also about the Campaign to Stop Killer Coke. SINALTRAINAL President Javier Correa sent this video about a protest at a Coca-Cola bottler in Cali, Colombia. Interview with Guatemalan Union Leader Jose Alberto Vicente Chavez describes horrific allegations of violence against Coca-Cola and pending lawsuit. Political activist and journalist Mark Thomas travels to South America, India and the US to investigate the way in which Coca-Cola and its suppliers operate and the extent to which they upholds moral and ethical obligations. Thomas, a long-term critic of Coca-Cola's more controversial practices, finds disturbing evidence which undermines its effervescent image as a force for good and which has prompted a global consumer backlash. On April 16, the Campaign to Stop Killer Coke, Polaris Institute, Corporate Accountability International, India Resource Center, Coke large shareholder B. Wardlaw, Mark Thomas, ("DISPATCHES: Mark Thomas on Coca-Cola"), Students for a Free Tibet, students and others went to Wilmington, Delaware, to confront the Coke policymakers with their crimes against humanity. The Polaris Institute, Canada, filmed participants answering the question, "What do you want to say to Coke?" In this section, Rogers discusses improper studies of Coke's labour policies in Colombia. Rogers answers a question about Coke's labour practices in Colombia. 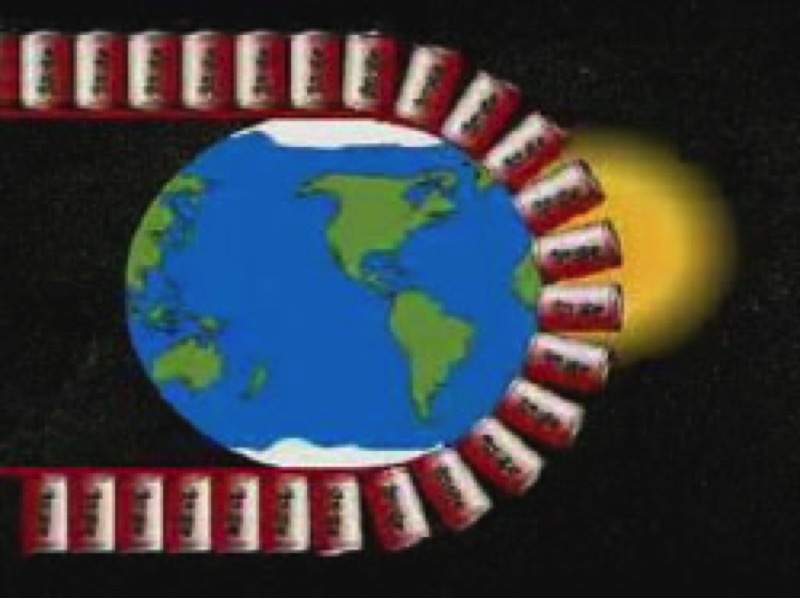 On July 11, 2005, WB11, one of New York City area's major television stations aired a special "Fact Finders Report" on the Campaign to Stop Killer Coke called "Coca-Cola Faces Human Rights Violations." Interviewed are Campaign Director Ray Rogers, Hofstra University Campaign Activist Vanessa Cudabac, New York City Council Member Hiram Monserrate, New York City Comptroller William Thompson and American Postal Workers Union (APWU) Secretary-Treasurer Terry Stapleton. This excellent feature was watched by millions on WB11 and, as we found out from supporters, watched by others around the world on satellite television. Read the Campaign's response to Coke's lies in this feature. "A film about the history of Coke and the effects a soft drink has on the planet"
Change Makes Change, "Mr. Coke Goes to Washington"
The story of a lonely Coke bottle who travels to Washington, DC to tell people about the horrors of the Coca-Cola Company's labor practices in South America. Bund, "Sweatshops (Sinal-Waves) Killing Vers." Bund, "Sweatshops (Sinal-Waves) Killing Vers.". Berlin, 11.04.2006. "I send you here the download-URLs of an audio track made by the band "Bund" dedicated to the female and male workers and their children of SINALTRAINAL"
Free Speech Radio News reports on the fourth World Water Forum in Mexico City, of which one of the top sponsors is The Coca-Cola Co. In the news report, representatives of several non-governmental organizations call into question Coca-Cola's sponsorship of the forum. Amit Srivastava of India Resource Center commented: "The Coca-Cola Company has no place at a place like the World Water Forum because its relationship with water is extremely unsustainable and the supposed goal of the forum is to find sustainable uses of water...Coca-Cola is using the forum...as a public relations exercise..."
Joe Zacune of War on Want commented: "Coca-Cola is leading the charge amongst corporations who are not only interested in bottling water and distributing it. There's a new phenomenon of corporations going around the world to developing countries and buying up land in order to control water resources. Aquifers are subterranean chambers that hold water that has filtered down over hundreds of years and as such, represent the heritage of entire communities. Once Coca-Cola controls these resources, it bores deep into them and extracts the water to produce its beverages, and this has a devastating effect on local farmers. Javier Correa, President of SINALTRAINAL, the National Food Service Workers Union in Colombia, describes the murders of members of his union, highlighting their occurrence during times of union negotiations. "Two of them were assassinated during negotiations of our collective contract, and one of them was assassinated while we were in the middle of a strike. They have imprisoned 14 of us; I have had to live with imprisonment on two occasions on charges brought by Coca-Cola officials; also 48 'companeros' including myself have been victims of death threats; they've tried to kidnap our children and have tortured us; they've displaced 'companeros' and burned union halls." "Bassist GUTO PRYCE adds, 'I frickin' love it, but I'll never buy another f**king can in my life.' "
We have set up a special page to bring together articles on the Torino 2006 Winter Olympics. Coca-Cola is a major sponsor of the Olympics and Italian activists have made their presence known. There have been actions throughout Italy against Coke when the Olympic torch passes through communities. There was a strong anti-Coke demonstration in Bologna — see a video showing the Bologna demonstration. To get access to the film: Userid: "corporatecampaign" password: "corporatecampaign0895"